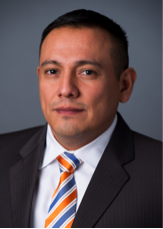 George Badillo is a real estate investor, entrepreneur and finance professional at Northwestern University with 20 plus years of experience. I grew up in a large family of 8 and continue to share close ties with my siblings. I currently reside in Evanston with my wife Suzanne and 3 children, Jackson, Lexi and Isaiah. Several family and friends have been diagnosed and impacted by cancer. Having this perspective has provided me a sense of urgency to help. I plan to utilize my network, knowledge and influence to accomplish the organization’s mission.